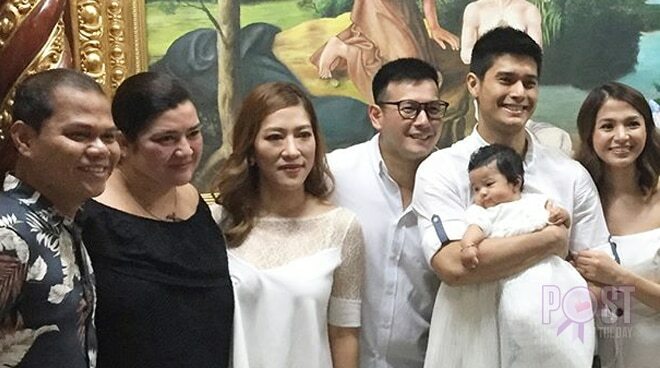 JC de Vera and his non-showbiz partner Rikka welcomed their firstborn Lana Athena to the Christian world. Nadia Montenegro, who is one of the baby’s godparents, shared some of their photos during the solemn celebration. Aside from Nadia, Banana Sundae mainstays John Prats and Pooh attended baby Lana Athena’s christening. JC just recently confirmed that he has a daugthr. He also revealed how fatherhood has changed him.